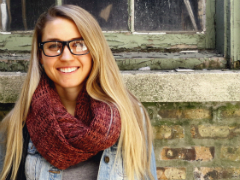 A few weeks ago, I introduced an extraordinary woman, her beautiful family, and her Etsy shop, whose ad has been sitting on my sidebar all month. That was awesome but it was also kind of rude; as you probably noticed, there are two other ladies sitting right there with her whom I just completely ignored. All of the middle children in the world, I know you can relate. So what do we do when this happens? Well, we pat them on the head, give them some ice cream, and tell them that they're very special. Or, we write a post dedicated specifically to how rad they both are. So without further ado, I present my lovely February sponsors, Robyn and Alex. Want to know if Robyn knows how to swim? 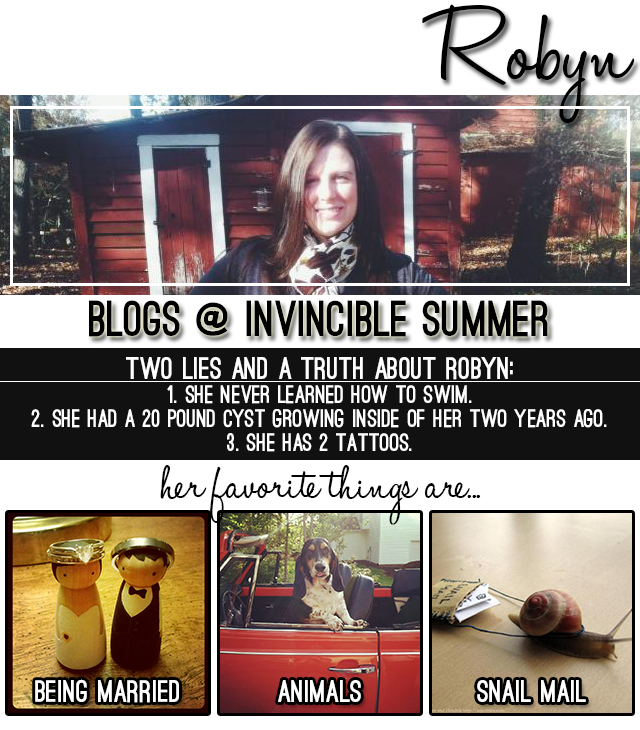 Go ask her yourself at her blog, Invincible Summer. And for further stalking, follow her everywhere. 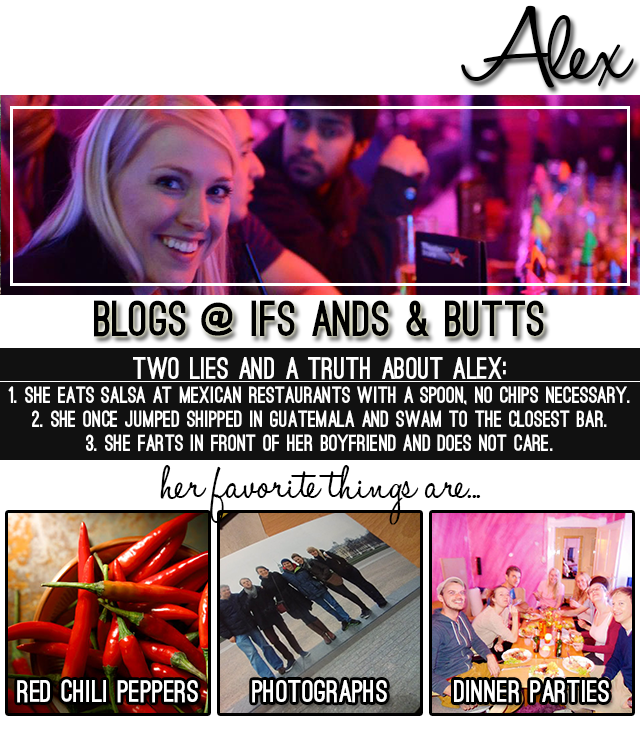 Go ask her at her blog, Ifs Ands & Butts. And also, follower her all over the internet. I can pretty much guarantee that her life is more interesting than yours. That's it. Enjoy all your Saturday things!